This is great. You’ve nailed so many of the things I still do, but look forward to avoiding at some point. I am so looking forward to avoiding the “fastest route” on my GPS. My best friend is always ready to order the moment the waiter appears. I have learned to tell the waiter to ignore him and come back after I’ve read the menu. I used to just order the first thing I saw. How did ordering the first thing you saw work out for you? Seems like there’s a blog post lurking in such a unique method of ordering. Often not well. The worst was the time I took the special “shad roe” which I did not realize was fish eggs. There is a lot of joy in dithering. You could call it “savoring the moment”, as some enlightened types do. Hard to be in the slow lane though, in a culture that is full of people who would just as soon run you down as wait for you to cross the street! But it’s not that bad, really, just seems so on these holiday shopping days! You are so right. The one time I feel like rushing is when, against my better judgment, I enter a shopping mall in December. Within five minutes I want to run to the nearest exit as fast as my creaky body will allow. My mentor in teaching has become my mentor in retirement… I read this post on my iphone while waiting in the car for my husband who was visiting every possible place in town that might have a specific item he needed for a craft. (I have plenty of time to read, and with a Smartphone in hand, plenty of reading material readily available at all times.) We finally arrived at the grocery store where I read your post out loud. We both laughed and, after a short debate, decided to go ahead and go in the store even though we realized the grocery list was home on the counter. After all, we had time to come back if we forgot something. Dither and fritter 101 passed with flying colors! Thank you your joyful, inspiring blog posts! So happy to know someone I admire so much is also a ditherer, Cheryl, and that your husband shares the blessed affliction. And thank you for following, sharing, and enjoying my posts. I’m in the middle on this one. I grew up on the east coast where everything is rush, rush, rush. So I do enjoy the slower pace—well, except for the freeways around Salt Lake—here in the mountain west. But while it’s nice sometimes to dither and deliberate I feel we are faced with too many decisions these days on everything from glue to toothpaste to health care plans. Tim and I are picking a new health care plan for 2016; I don’t want to have to decide which plan, among 187 of them(! ), is the best one. That way I’m almost guaranteed to choose the wrong one. How about a choice between five or ten insurance plans?? Rita, I’ve felt for some time that we have too many options. Many years ago, I saw a wonderful movie, Moscow on the Hudson, in which Robin Williams plays a Russian musician who defects to the US. In one scene, he goes to a supermarket to buy coffee and becomes so overwhelmed by all the choices he becomes dizzy, totally disoriented. I know the feeling; I think overabundance is another reason I flee malls. Too much. Too many choices. As I dithered this morning over where to put the spices, cutting boards and measuring cups in the new-to-us kitchen, I was grateful no one was helping me get it done more quickly. I know the new geography will sort itself out in time. Today, my snail’s pace is just fast enough. Fast enough, Lorie, and more enjoyable. After we remodeled our kitchen, I took days to reassemble it and had fun doing so. I still congratulate myself on the wise decisions I made as I dithered. Too late we learn, Rob. I, too, used coffee as fuel to send me charging into my day. Now it is one of my greatest slow-sipping pleasures. And what a joy it is to take my time walking and working in the yard when my body is free of nagging aches and pains. Thanks for enjoying the humor. I made myself laugh with some of my word choices and exaggerations. That’s quite a compliment from a master craftsman like you. I’m so glad you enjoyed this post, Sue, and isn’t it lovely to have morning time for coffee and reading — a glorious way to start the day. Another humorous ZINGER!!! Your Joel sounds like the male version of my “Princess”….one of the biggest arguments that she and I have are in the car when SHE’S driving….while she’s “looking for birds and other critters”, I”M the one that’s actually looking at the road in front of us. I’m starting to “mellow out” as I age, but I still get a TWITCH in my neck, when she drives. 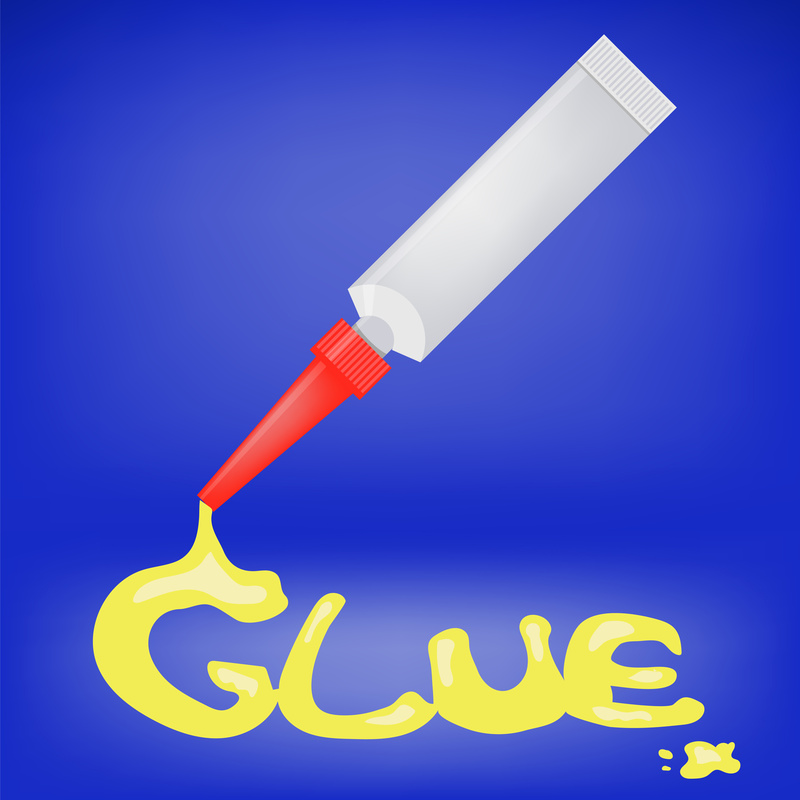 PS I just went the “glue route” myself….bought some “GORILLA GLUE” for the monkeys I need to fix!! Oh, Lucie, I’ve tried to explain to Joel many times that being his passenger is not stress free; I regularly experience the twitch in the neck you mention. As always, I’m glad you find my writing funny. I like to make others laugh and relate. At 41, I’ve learned that life doesn’t turn out the way we expect despite our best laid plans so I can either get upset or muster up the patience and courage to work on Plan B, and C and D and so on. I’ve spent too many years making hasty, decisions, the last of which almost cost me my life 3 yrs ago. Learning to be more patient and live in the moment is my goal. So far so good! Thank you for finding the post thought-provoking. And congratulations for realizing, much earlier than I did, that patience is indeed the virtue my mother told me it was. I wish you continued success with your goal. Spot on again! We are taught to do rather than to be; I find this hard to unlearn. A few years ago people would greet each other with “How are you? Busy?” With the implied message that there was something wrong with you if you weren’t. There is some hope – eg the slow food movement. But do go back and get some sort of glue for your angel. I did finally glue my little treasure back together, Sally. Thank you for your concern about her. I remember the days when the routine greeting in my circle was “Keeping busy?” I agree that doing rather than being is a difficult thing to unlearn. This is wonderful! I must be older than I thought because I’m all for slowing down and smelling the coffee, roses and anything else that takes my fancy. But maybe I’ve always been a bit like that? Years ago when I lived in bustling, traffic-heavy Johannesburg I drove an old car that overheated if it stood still for longer than a single traffic light change. Like a shark, my car had to keep moving in order to stay alive. Consequently I developed my own “scenic routes” through all the suburbs in order to avoid the other cars and traffic snarl-ups. It always took longer but I still had a working car when I got there, and I arrived calm, having experienced less road rage than most other Johannesburg drivers. I love this comment, Susan, and your anecdote about the enjoyment you derived when forced to take the slower route by your car, which you so wonderfully compared to a shark. My friend, Marcia, fell on her face a few years back, racing for the #50 bus, the week she spent looking like Quasimodo, helped me feel better about having been born half sloth. My peeve is people who scoff their food, lick the plate clean and decide it’s time to go. Now I am old, I savor every bite. Great post Janet, thank you. I, too, like to linger over my favorite activity: eating. When I’m forced by circumstance to hurriedly down a meal, I’m resentful and peevish for some time. I’m glad to know, should I ever dine with you, we’d slowly savor together. Indeed, one day we will.. The race is never over. I’m just getting started. I’m making my own glue. Do you think your glue would work on my eyelids and perchance my jowls? I hope to be able to take my time with decisions one day soon. At the moment I tend to rush them then spend hours after the fact worrying that it was the wrong choice. Your dithering and fittering sounds like a much better option. I so well remember my days of making hasty decisions then worrying that I could have done better for hours, even days. I still, on occasion, make questionable decisions, but usually when I slide into my past bad habits and buy clothing or something for the house just to end the misery of shopping.. So, are we dithering because we want to, or or we just getting slow in our old age? Maybe some of both. I became a ditherer precisely because I slowed down; then I discovered the joy of taking life more slowly. I suppose my attitude is the silver lining around the cloud of old age. Wow! Having surgery tomorrow, and this is just what I needed today: a positive aspect of aging. Thanks for posting this oh-so-true observation. I will be conscious of this blessing in the future. Thank you for taking the time to comment on the day before you have surgery. I hope all goes well for you tomorrow. I’ll be thinking about you. I loved and identified with this post Aunt Beulah! So many people worry about slowing down with age, but that is really half the fun. Life can be such a pleasure. I see we are in complete agreement on the benefits of slowing down with age. Thank you for letting me know. Before I returned to university studies as a mature student I made decisions on the fly. My attitude was unless it’s death just about every decision can be over turned. Now I consider both sides of every argument, read all the labels and dither ad nauseum whether ot have crunch or smooth peanut butter. I learned a whole bunch of new stuff at uni but dear me it has interfered with what was once a precision machine in the decision making stakes. I, too was a “precision machine.” (What a perfect analogy that is!) Are you finding that you are making better decisions now you dither over them? It seems you would when considering both sides, reading labels, and not rushing. “… open to opinions and options . , , ” — that is a very good approach to life. It is, and I manage to take that approach — most of the time. You expressed this so beautifully Janet, and I agree totally. I’m just glad that we’ve been given this time to soak up the simple things. Here in Australia, driving on the speed limit you are likely to have someone driving too close encouraging speed. I pull over as soon as it’s safe and let them pass. I hope you find that glue! Barbara, I, too, have learned to pull over so those still in the race can speed on by. It’s pleasant, isn’t it? I did get the glue and the angel is once again ready to adorn my Christmas.